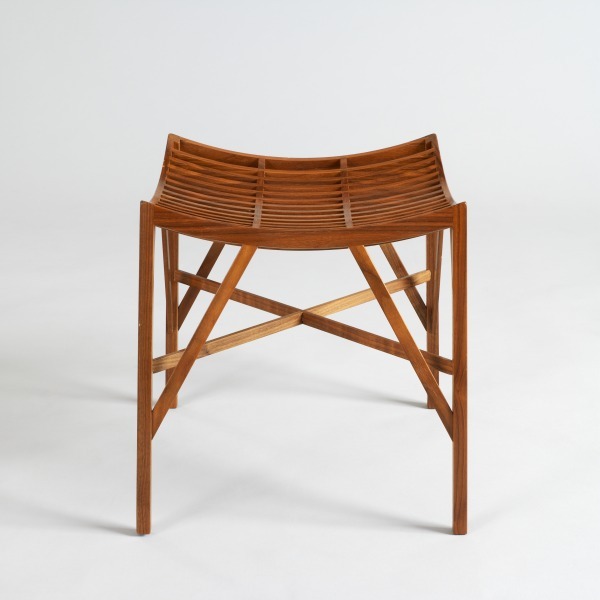 Stool with a square seat with a lattice-cut top in darker coloured wood, with four thin legs and supporting beams. No detailed material and technique information in maker file. S7 Production Stool, David Wolton, 1996 Crafts Council Collection: W111. Photo: Todd-White Art Photography. Designed by DW but not made by him.